The practice of medicine is complicated. One does not have to be an accredited medical provider to make such a determination. How to best practice medicine by extension ought to be left to the experts. Placing this thought into relief was the latest episode of Skeptics with a K where Mike Hall shared that a NHS review decided, after a period of review which included public comment, that homeopathy within Liverpool, England be defunded. My overall opinion on this matter is first, happy that a major Western metro area is not wasting money on such nonsense. I am also in a bit of awe that skeptics were able to mobilize and actually do something concrete. I cannot fathom American skeptics mobilizing to accomplish something similar in the somewhat similarly sized Pittsburgh, Pennsylvania. State Capitol is not an institute of health. The United States health system is organized in a manner completely different from Her Majesty’s National Health Service. 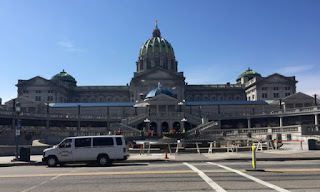 Currently in the Commonwealth of Pennsylvania, the state legislature has been meddling in setting up medical guidelines in some areas. The Commonwealth recently passed legislation permitting the use and distribution of medical marijuana including the conditions that it is permitted to be used to treat. I am not a big opponent of outlawing weed. For recreational purposes, I could care less if it regulated for such uses. For medical purposes, this is the purview of the medical community and the FDA to decide, not a bunch of lay legislators determining health issues based at least in part on popular opinion. The legislature is also considering a bill allowing for alternative dispensing of medication for Chronic Lyme’s disease. The legislature is not a bastion of medical expert opinion to determine what is efficacious in the treatment of a disease. While there may be a place for the public to devise the umbrella on how health care is dispensed within the community, the actual decisions on care and treatment really should not be up to the whims of popular culture, well-intentioned or not. Again, I salute our Merseyside skeptic brothers across the pond. Having a popular say in the dispensing of medical care is nevertheless concerning there, or here in America. I wish this was unnecessary and more merit trumped any popular sentiments.